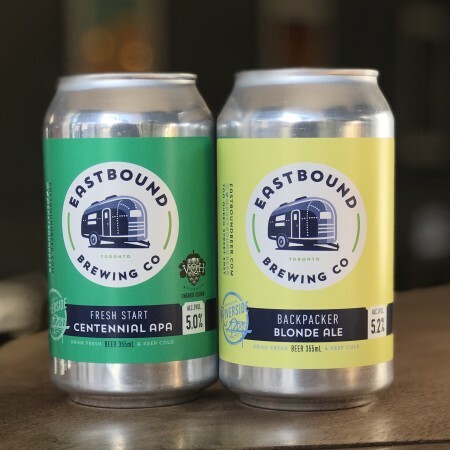 TORONTO, ON – Eastbound Brewing has announced the release of two new beers. Fresh Start: Centennial (5% abv) is the latest in the Fresh Start series of single-hop American Pale Ales, and was brewed using Ontario-grown Centennial hops from VQH Farms. Both beers are available now on draught and in 355 ml cans at Eastbound while supplies last.